Our next vendor has been a long-time supporter of the Great London Yarn Crawl. We're thrilled to welcome Max Alexander of Max's World, and her gorgeous handmade jewellery and gifts for knitters, to the Pop-Up Marketplace. I make knitting and craft themed jewellery. 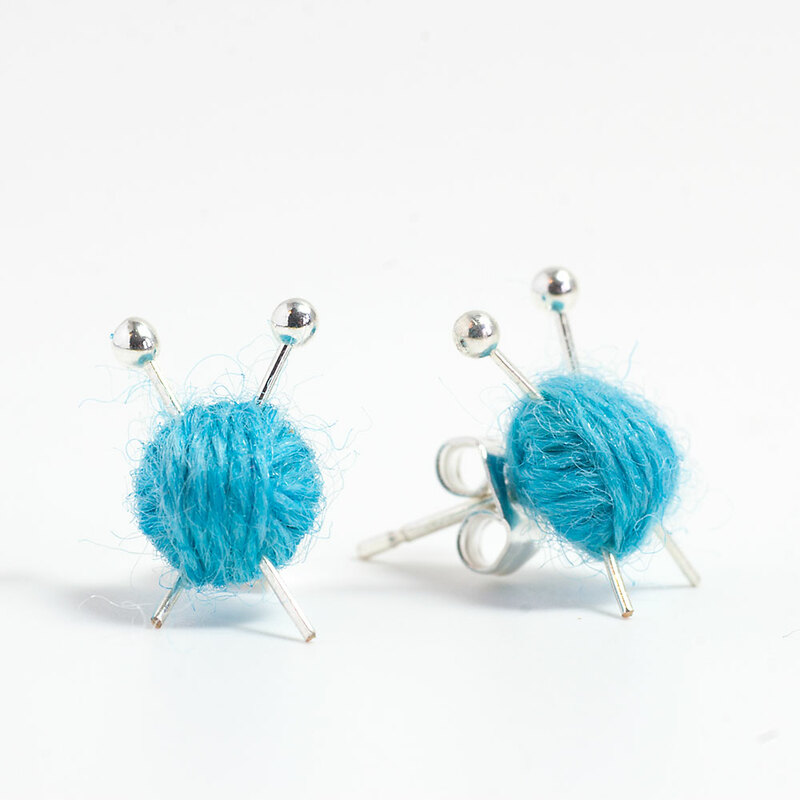 I’m probably best known for my super tiny knitting needle and ball of yarn earrings. I also knit creatures and have been making a lot of moths for the past year. The moths look good printed and the greeting cards of them have gone down very well. I’ll have all of my jewellery, I don’t do many fairs so it’s a great chance for people to get up close to pieces they may have seen online. I’m hoping to have a couple of new designs too. I’m also currently knitting some very fancy moths and will have a few that have never been shown before. My work always starts with something I’m a little obsessed with. When I learnt to knit I wanted to be in knitwear all the time so I designed my knitting jewellery to wear when it was too hot for wool. More recently I discovered the wonderful world of moths and began to knit them so I could have an excuse to stare at pictures of them all day…! I work from home most of the time. Although it’s great being in charge of how I spend my time it can get a little lonely. So I absolutely love getting out and showing people my work. It’s wonderful to get a smile or a laugh from a stranger! I had a stall In Spitalfields Market a couple of years ago and an American tourist came past. She spotted my knitting octopus on a greeting card and became really over excited. She’d seen him online and couldn’t believe she was meeting the maker. When I showed her the real life octopus she was overjoyed and asked for my autograph. I found it quite strange, and got really nervous and scrawled something wobbly. I don’t think I’m cut out to be celeb…! And speaking of the 'm-word' (moths! ack! ), Max has a blog post all about National Moth Week happening 18-26 July. Check out the post to learn more about all the moths she's created as art so far!